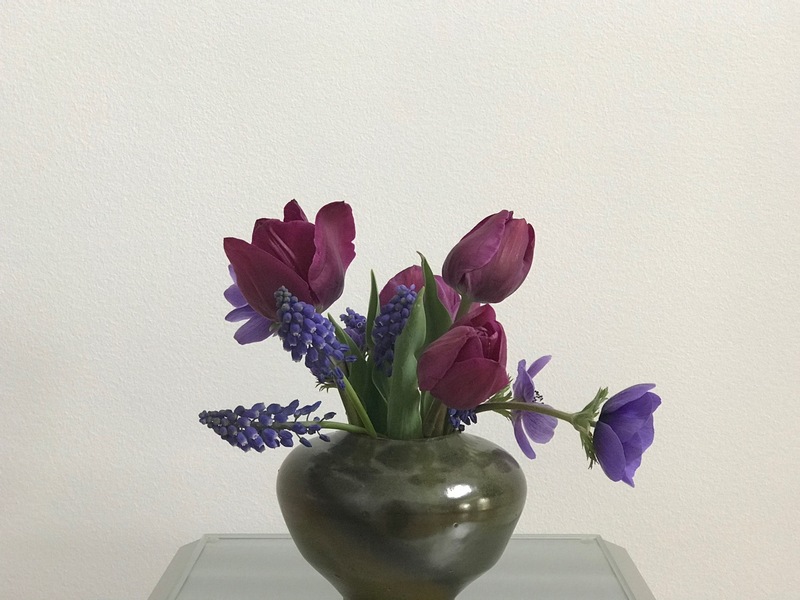 The starting point for today’s vase is a small glass bowl I found in the NCMA gift shop while visiting Art In Bloom this week. 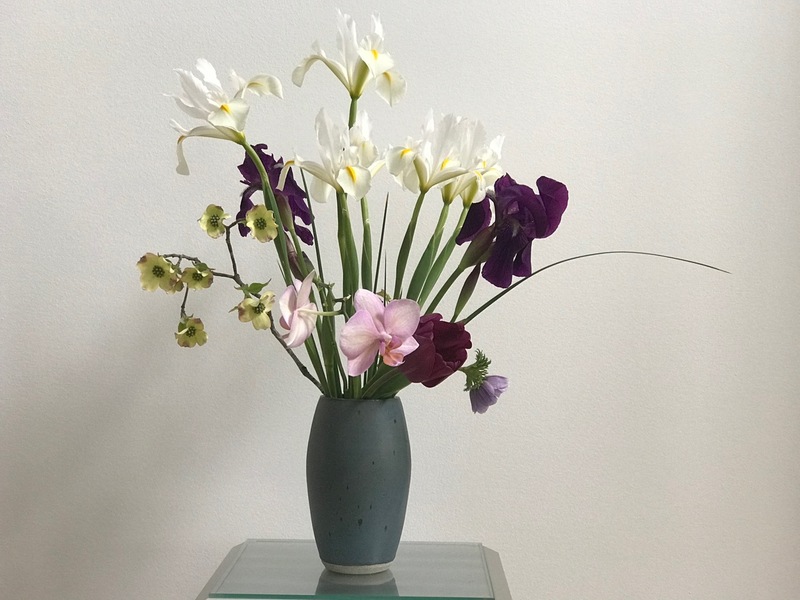 The glass is translucent white and has a pleasing low profile, rounded form. 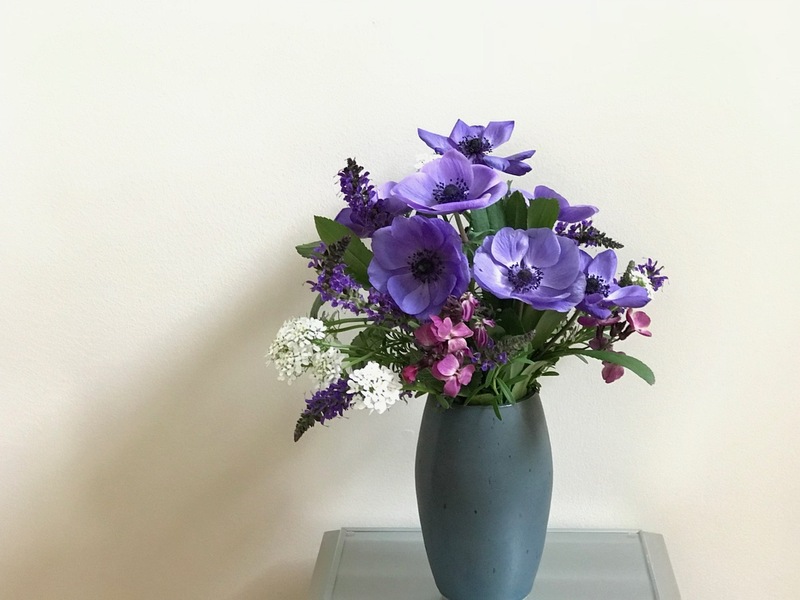 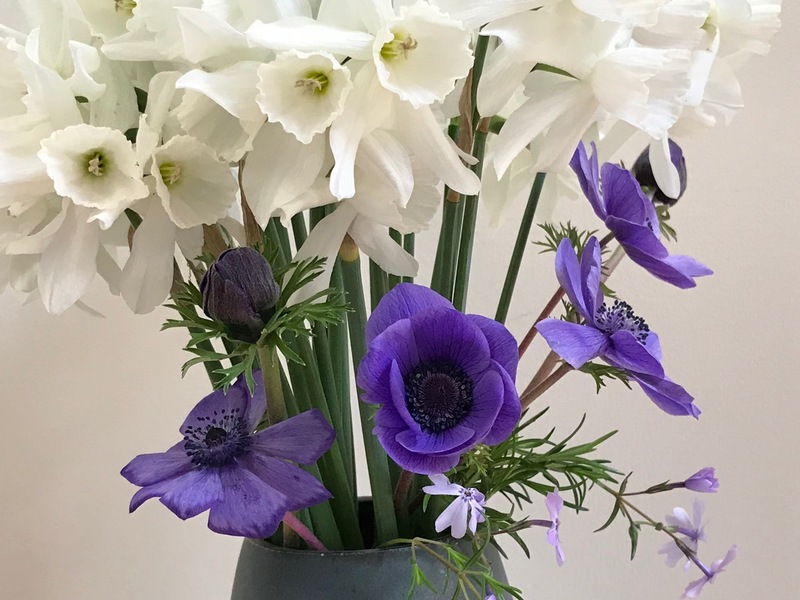 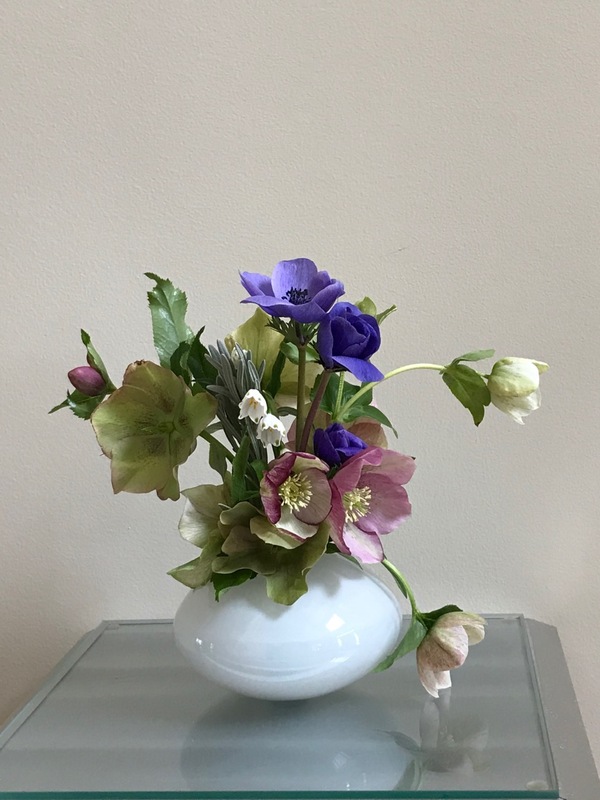 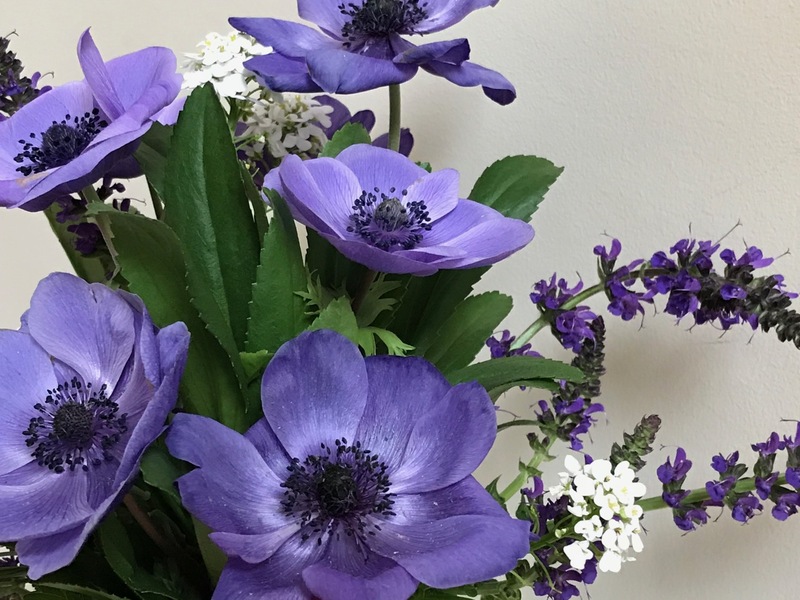 My plan was to showcase anemones alone, but the result was so stark, I revisited the garden to collect a few hellebores to fill out the arrangement. 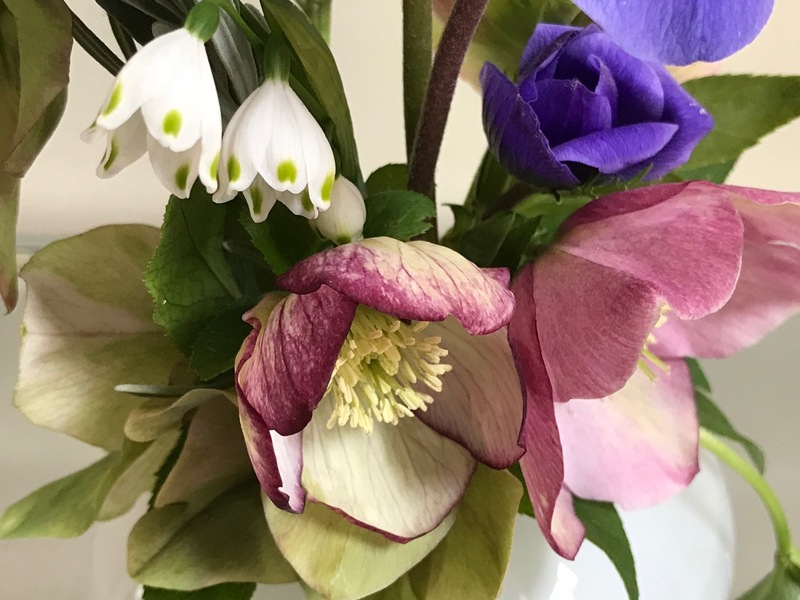 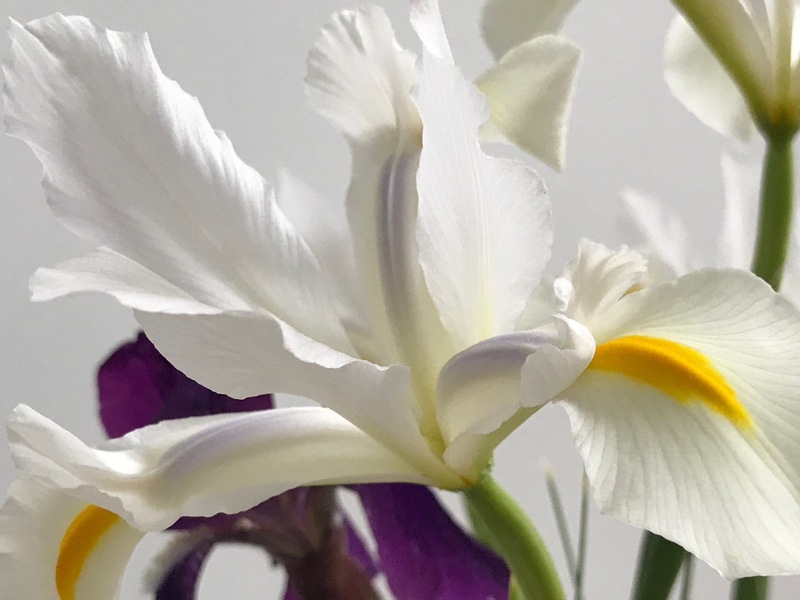 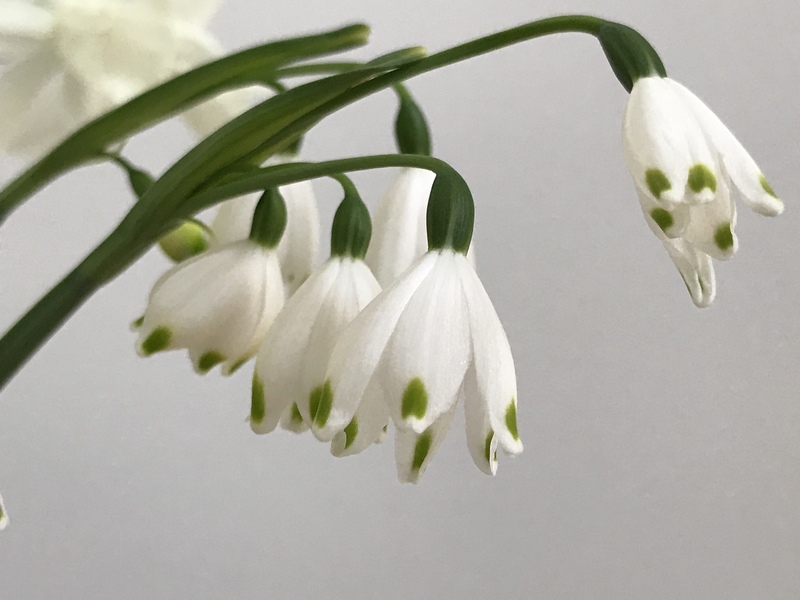 A stem of Leucojum is tucked among the hellebores. 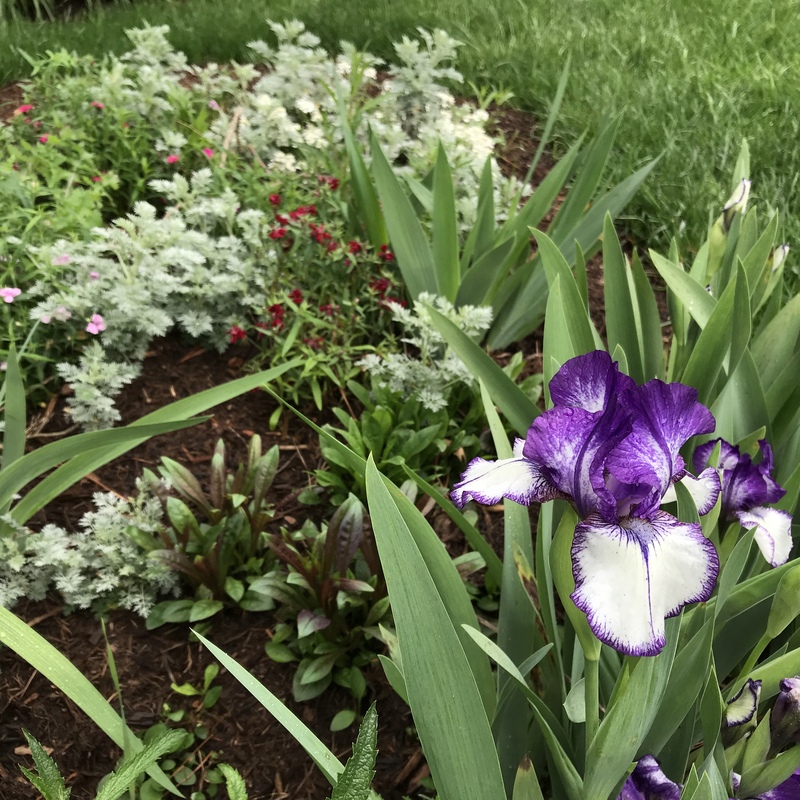 It was worth refashioning the design. 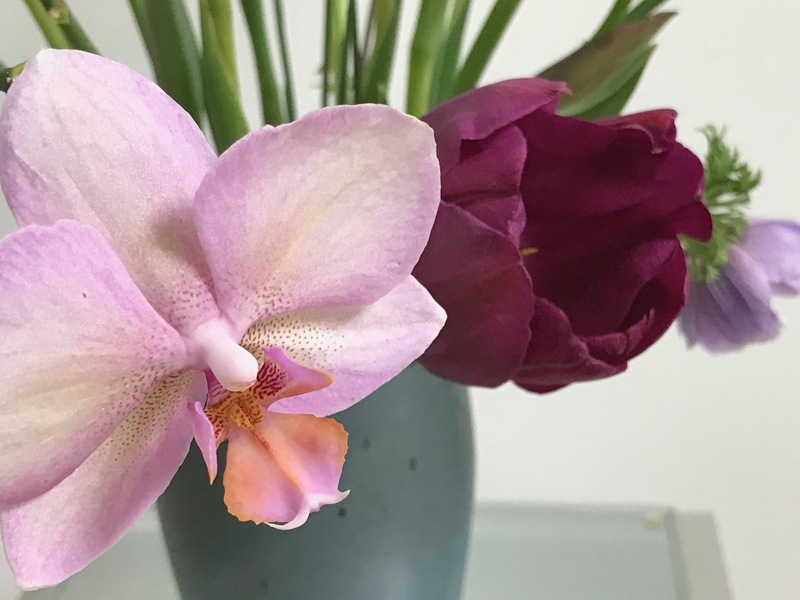 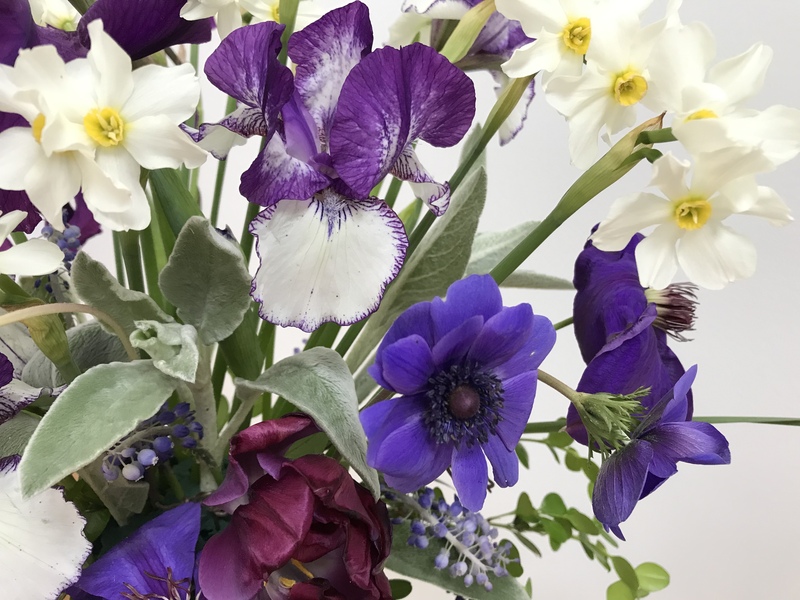 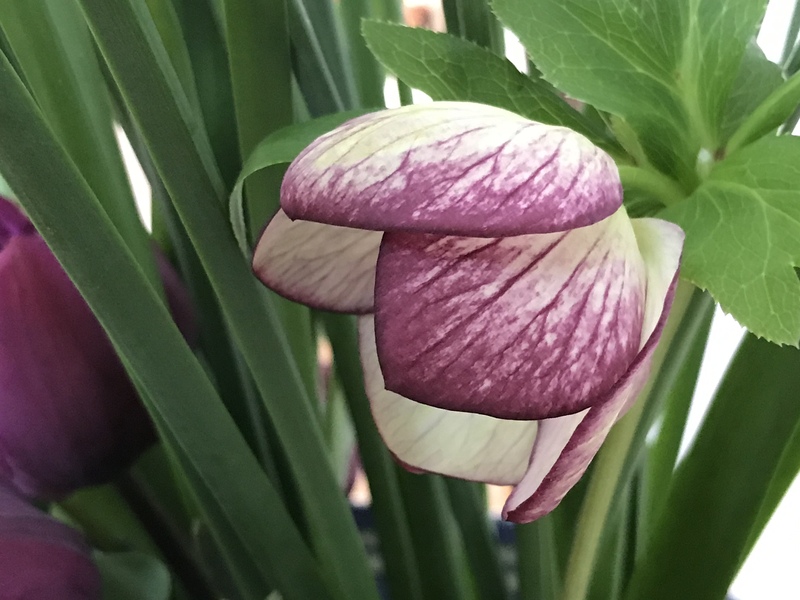 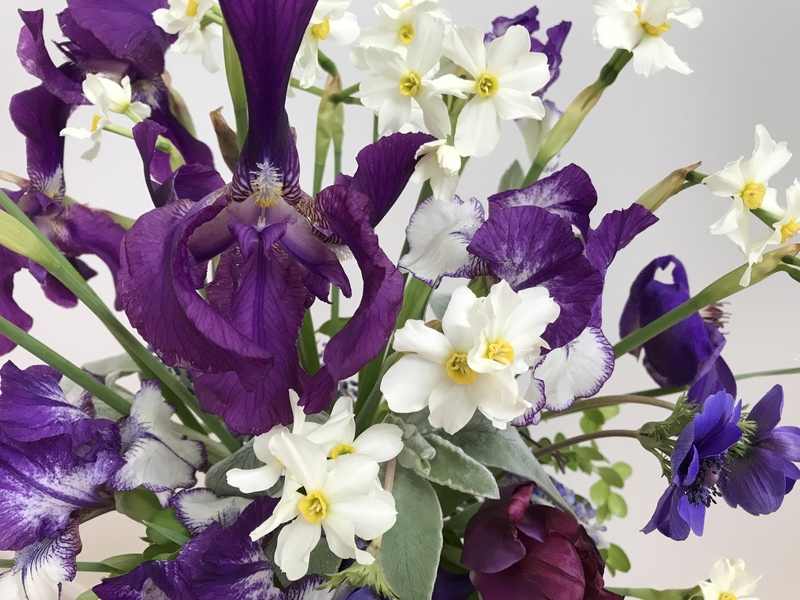 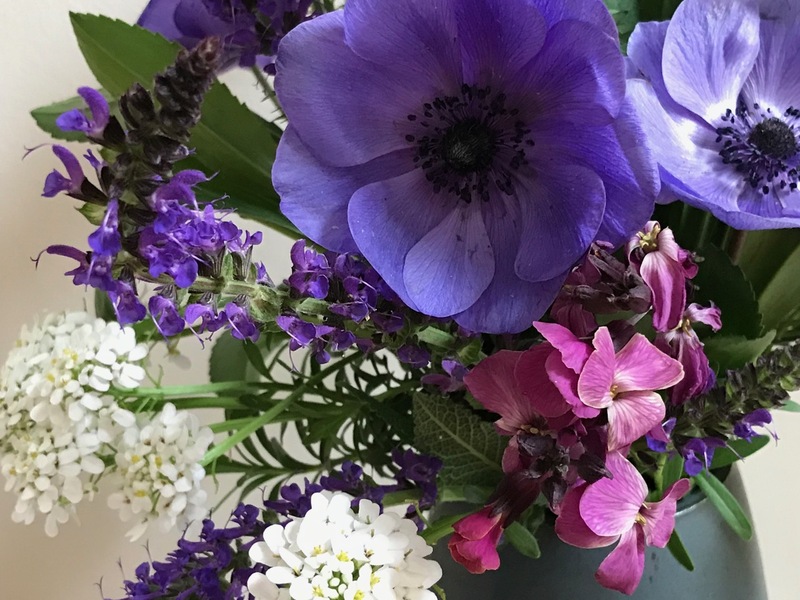 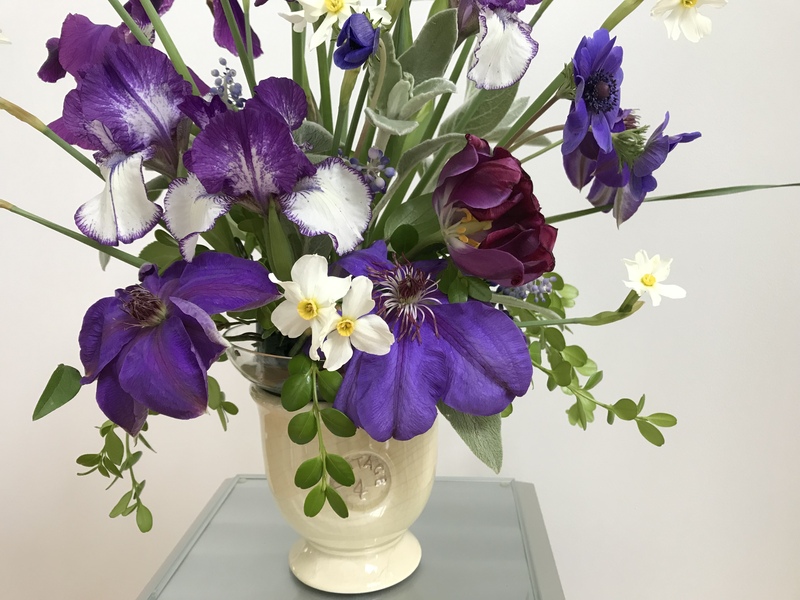 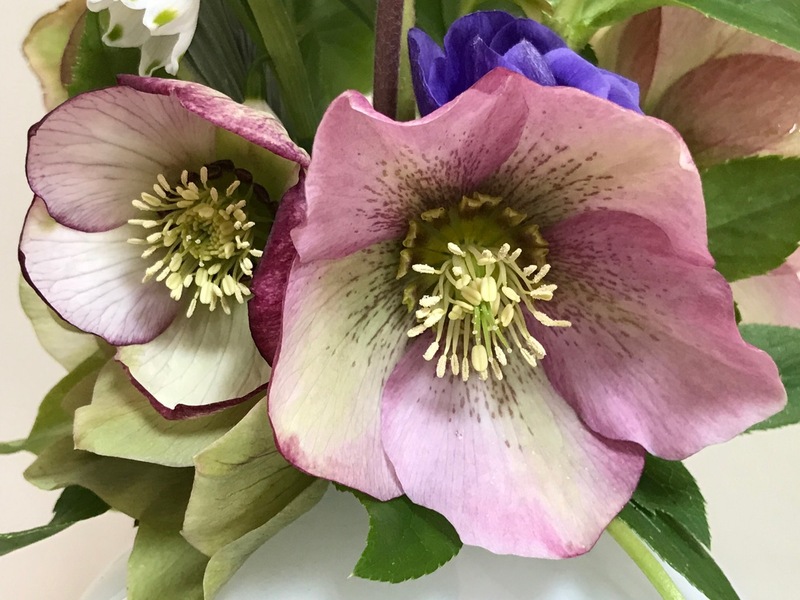 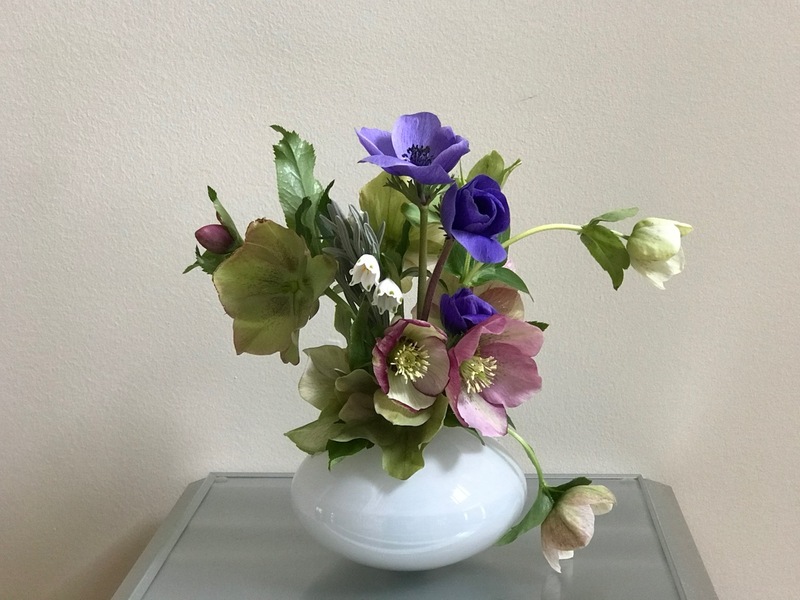 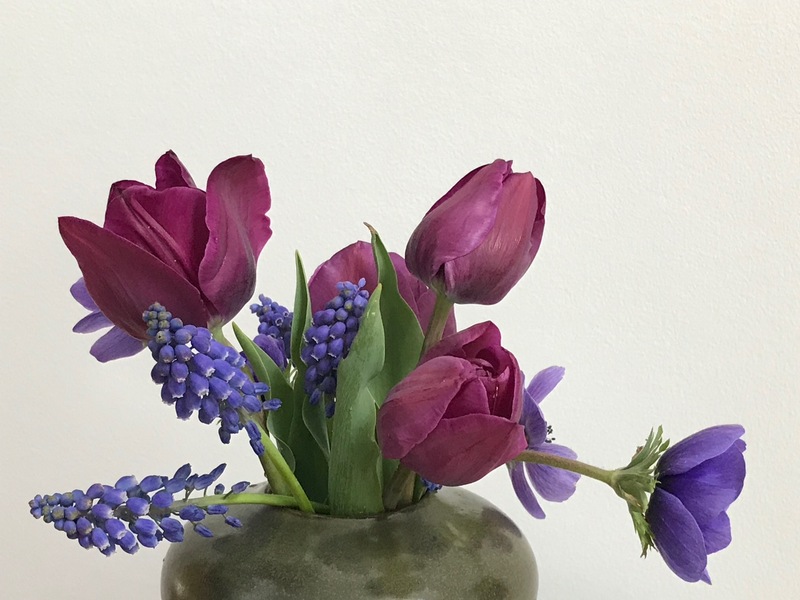 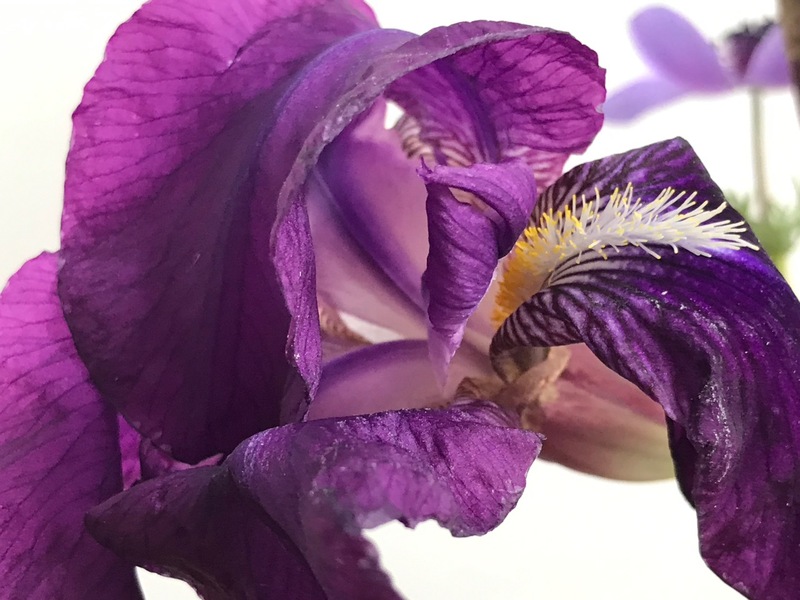 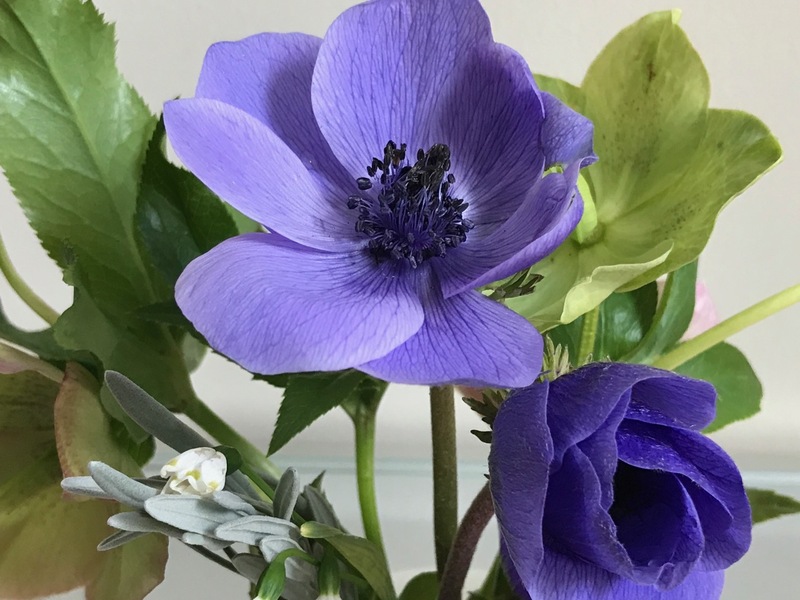 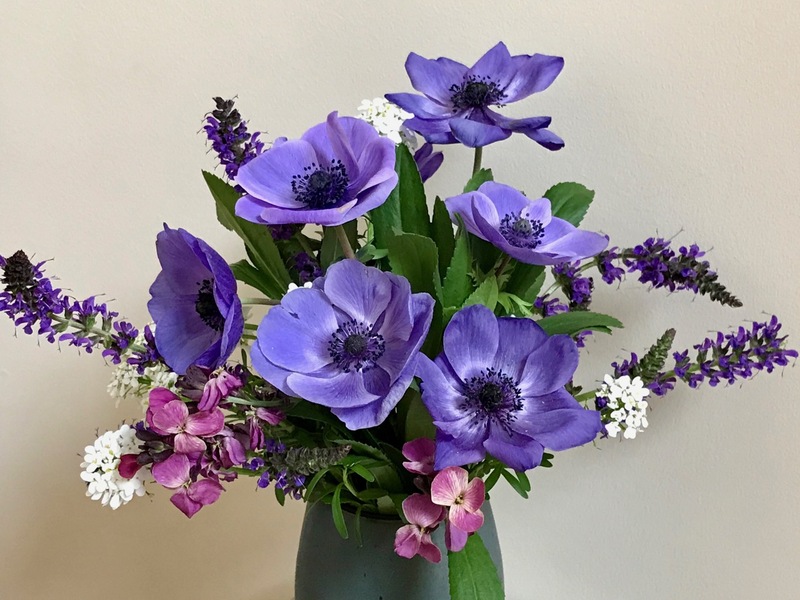 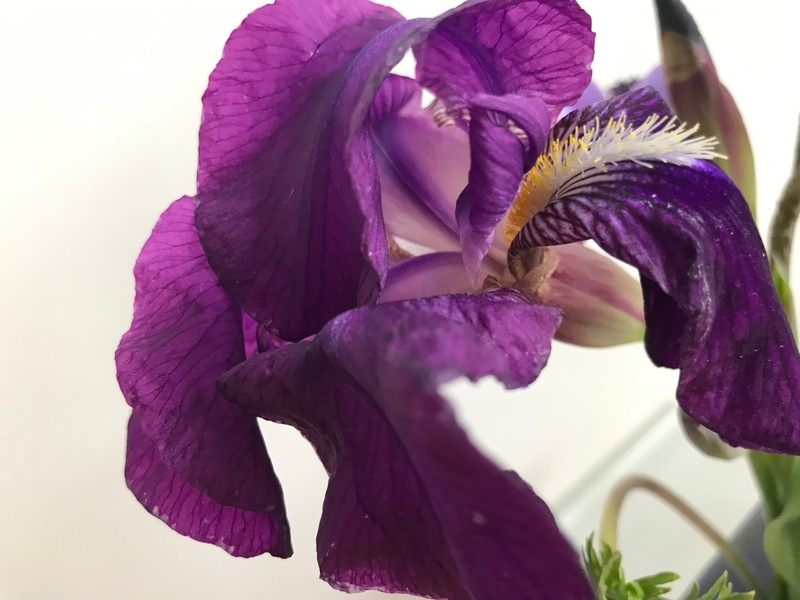 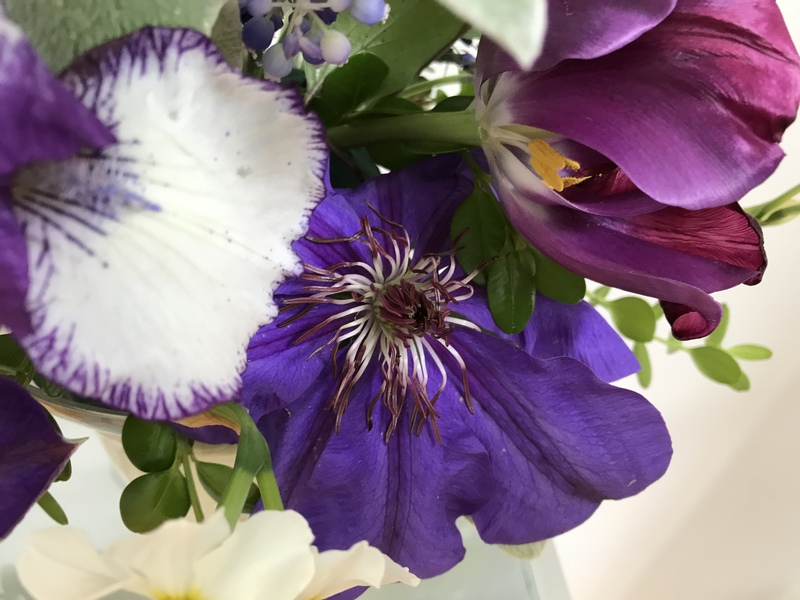 In the end the colors of the hellebores brought out the purple hue of the anemones, resulting in a richer, more satisfying Monday vase. 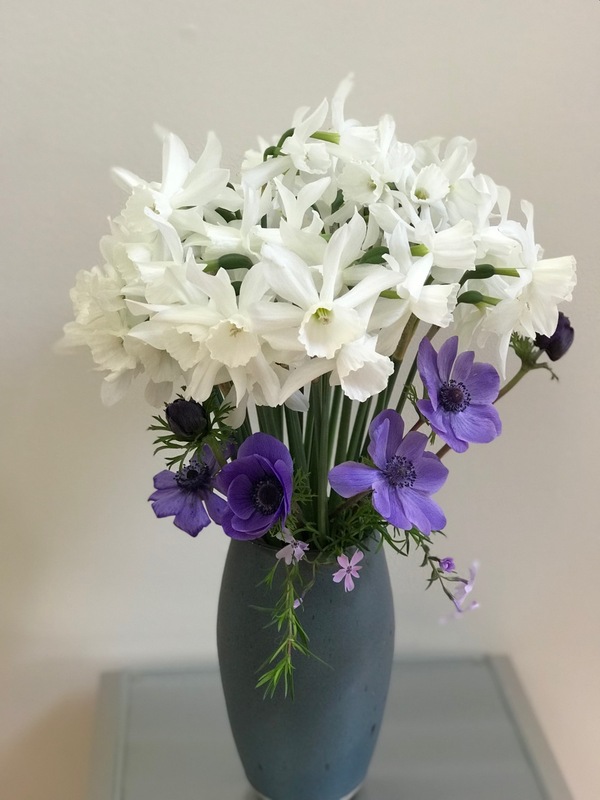 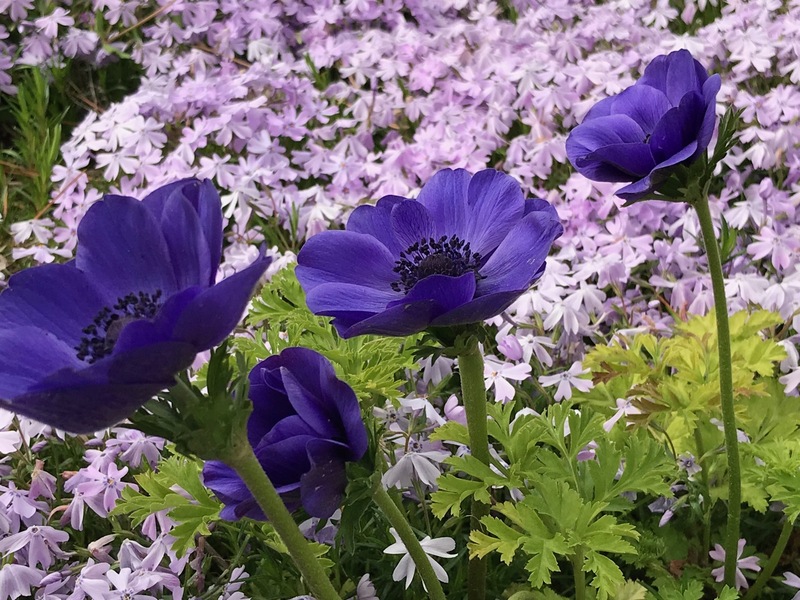 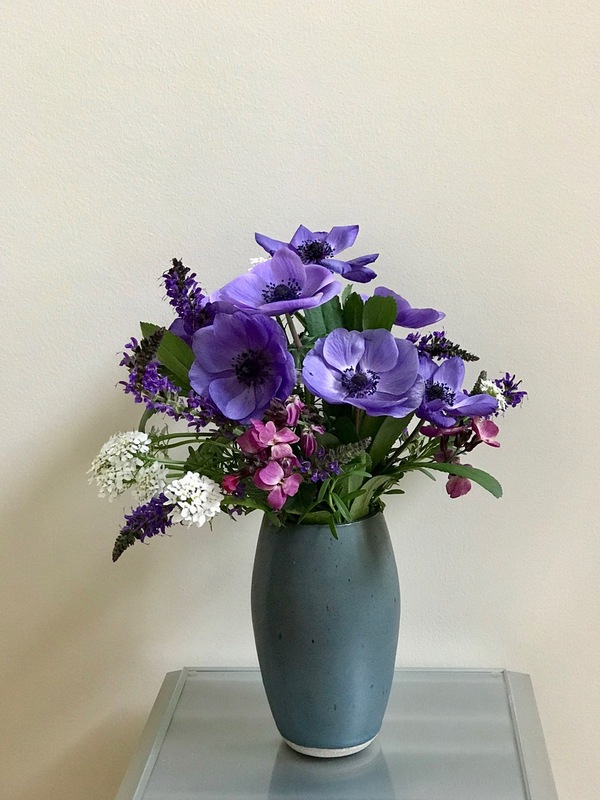 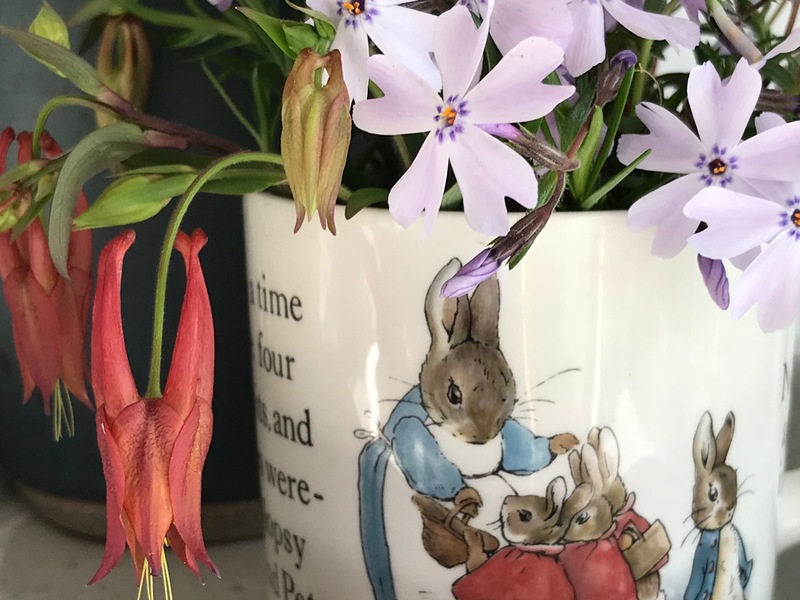 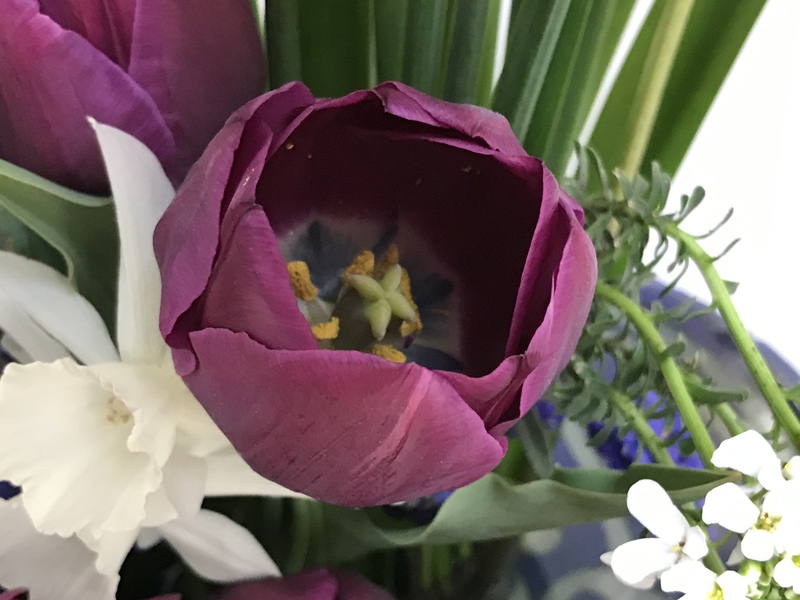 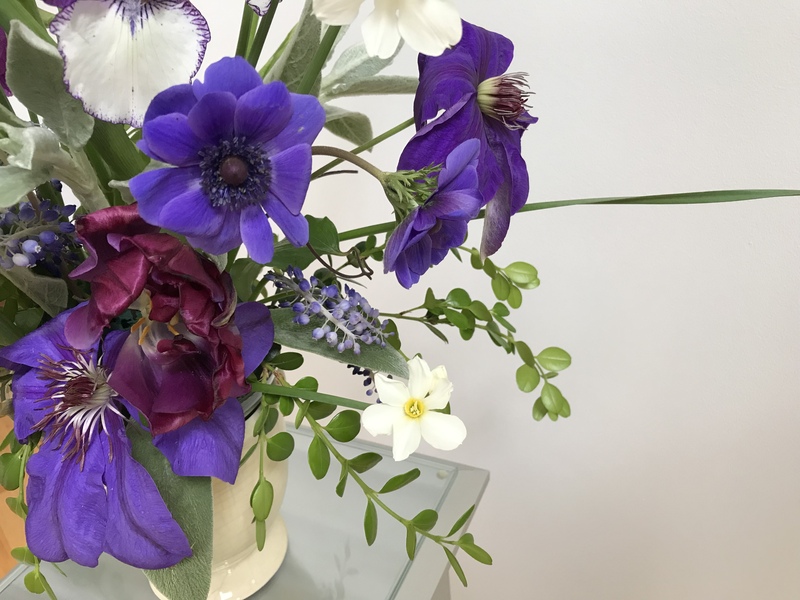 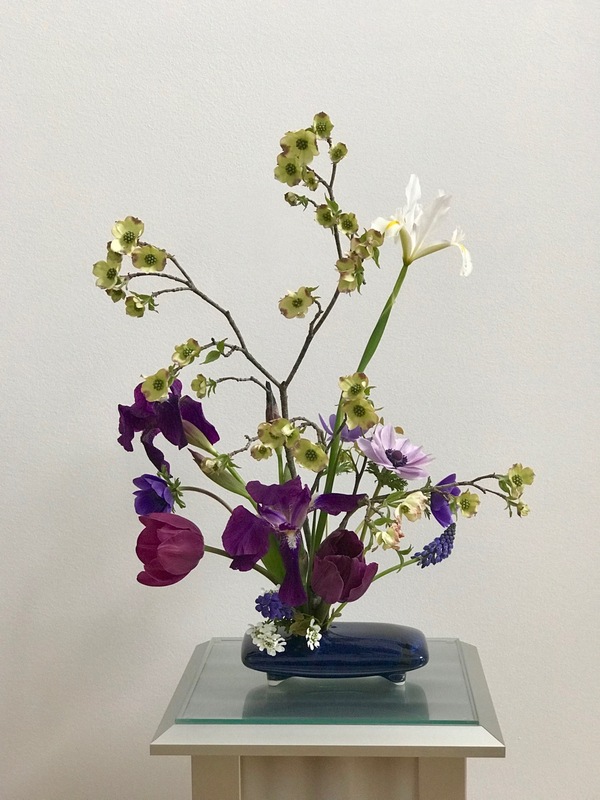 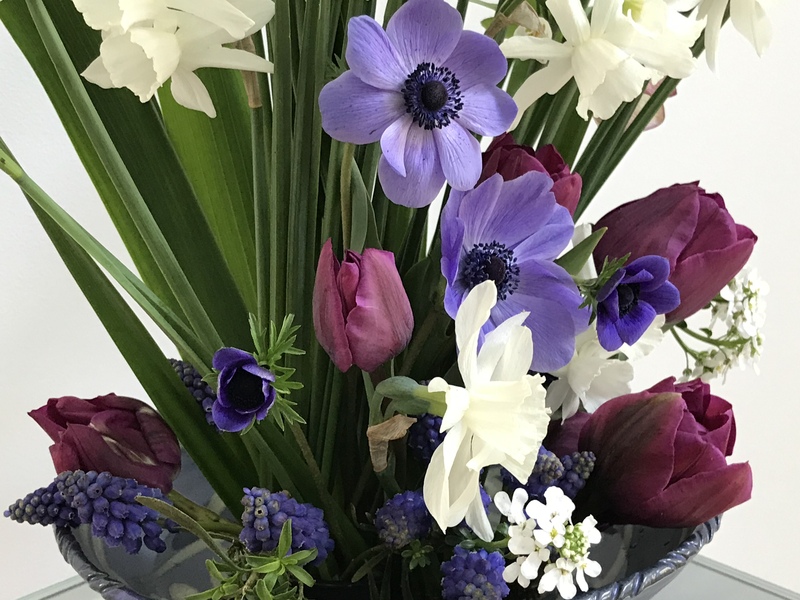 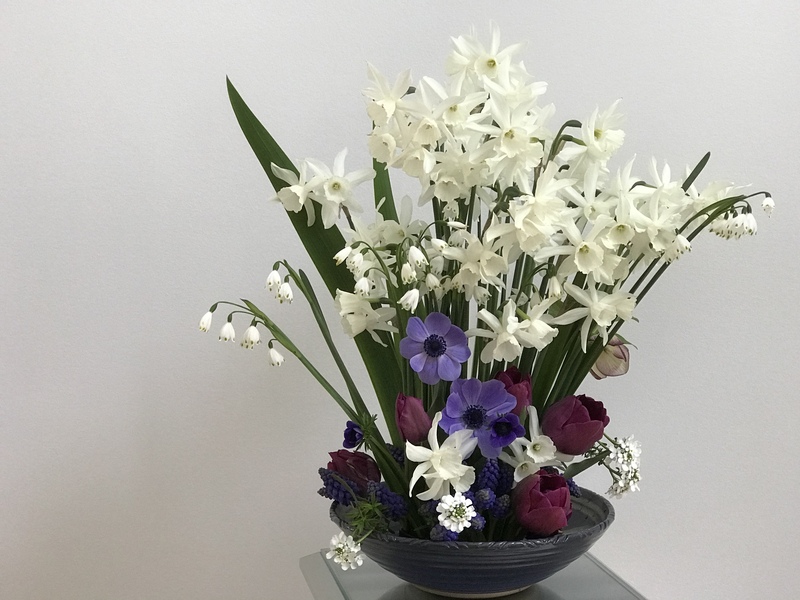 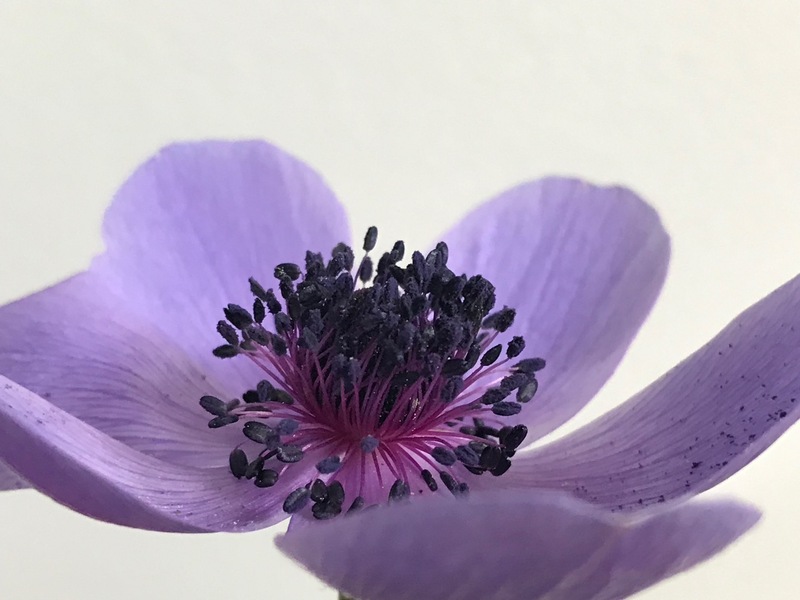 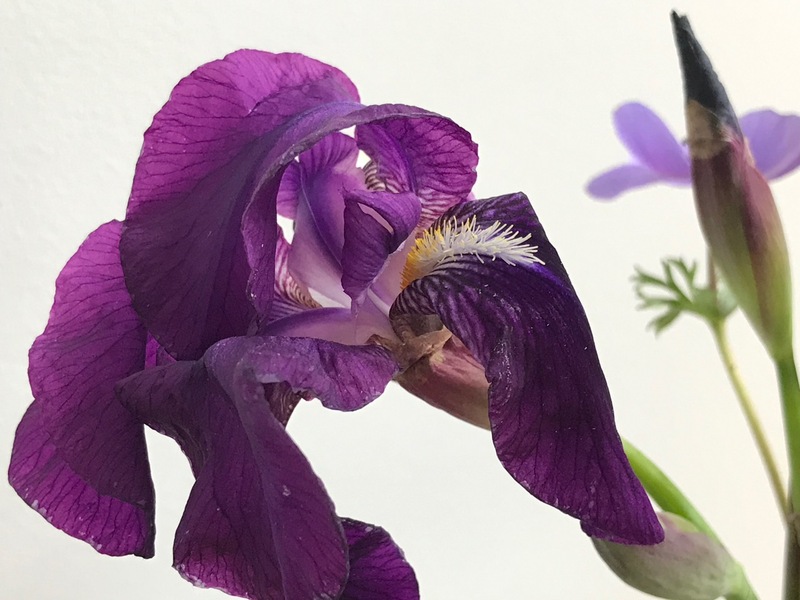 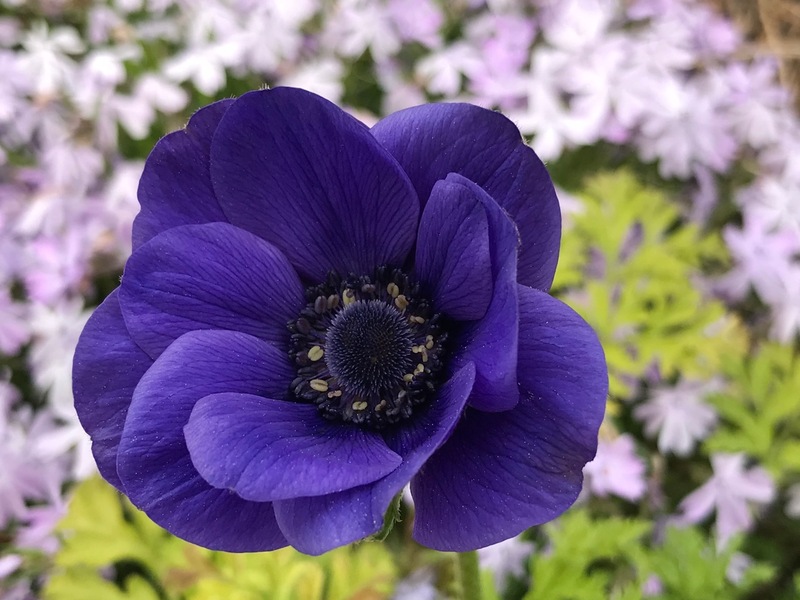 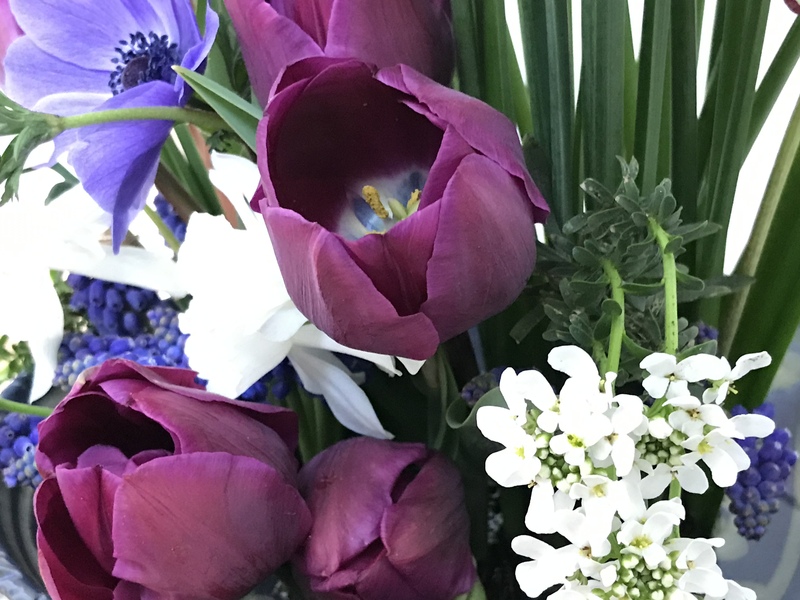 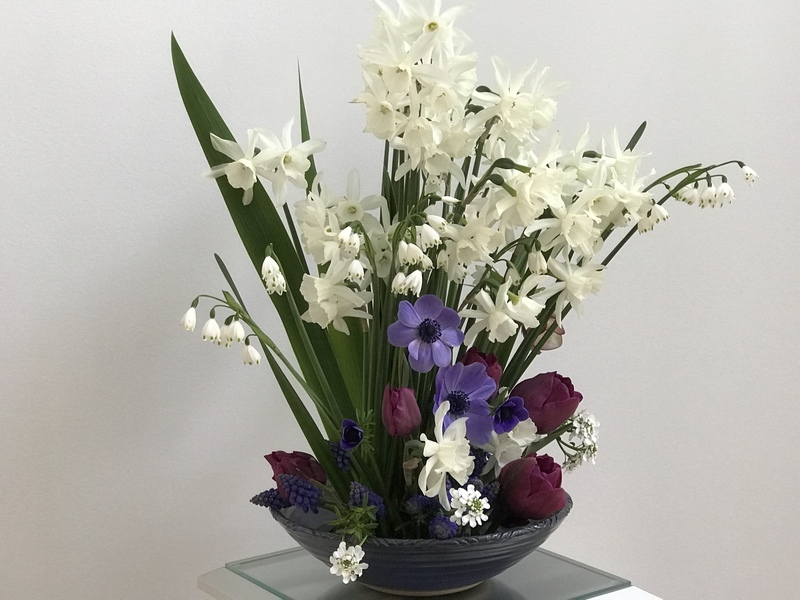 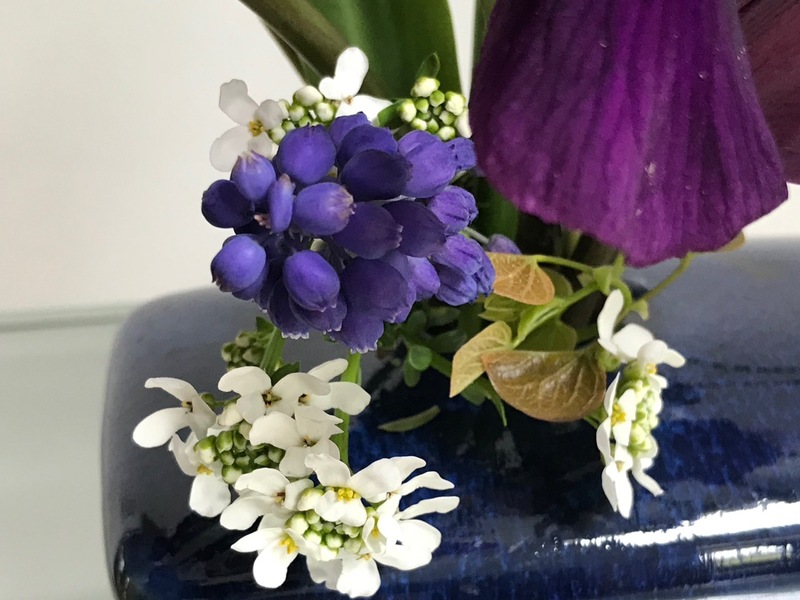 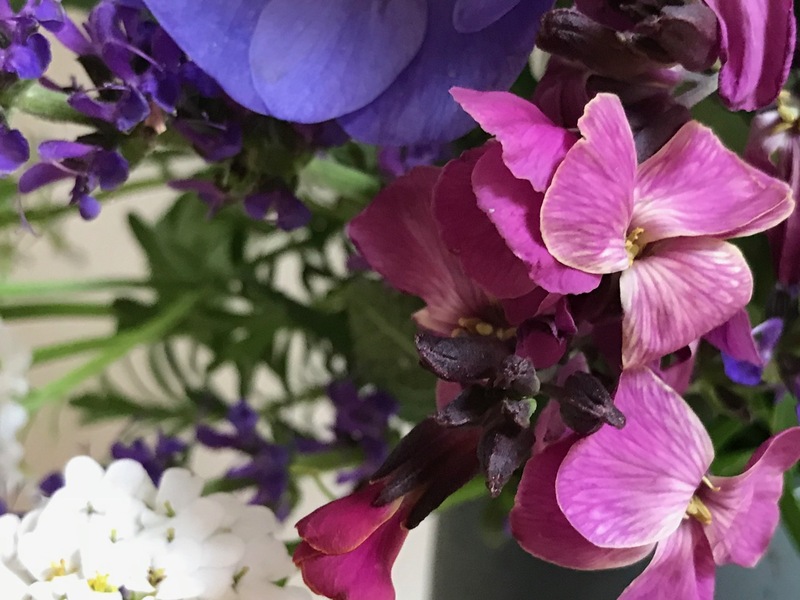 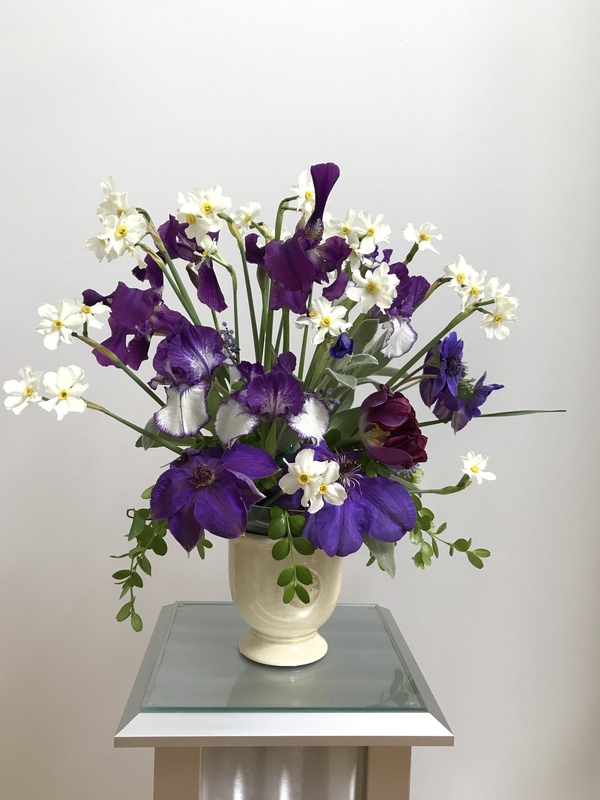 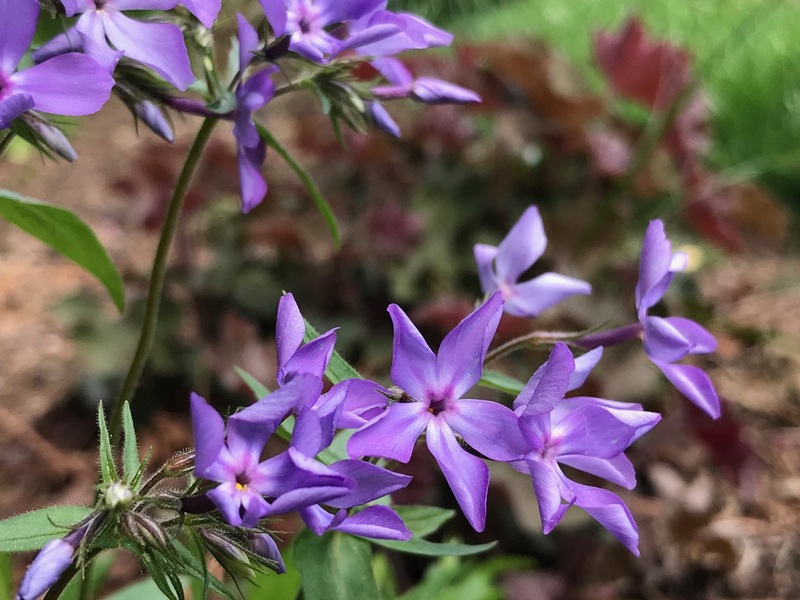 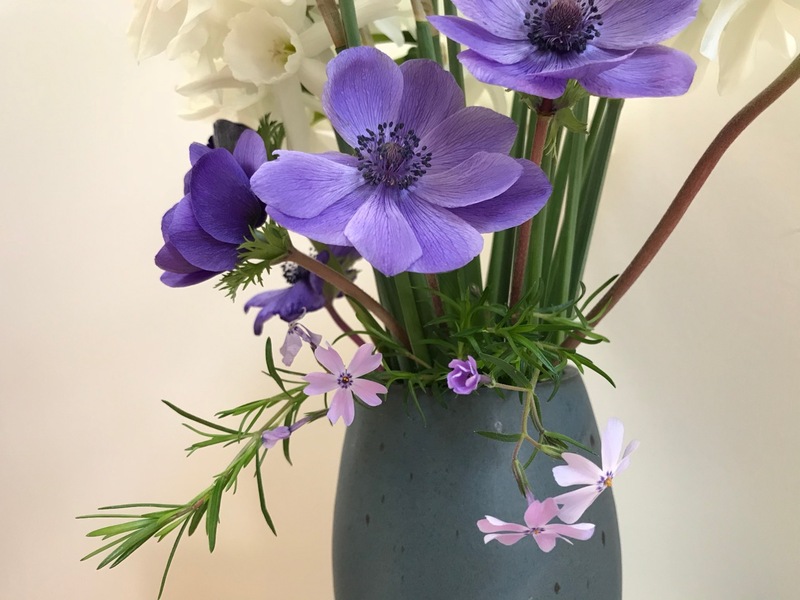 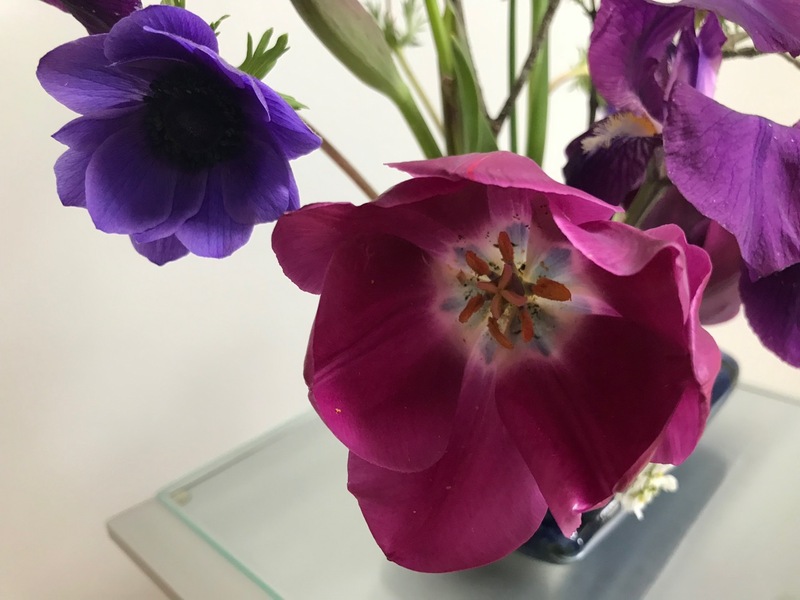 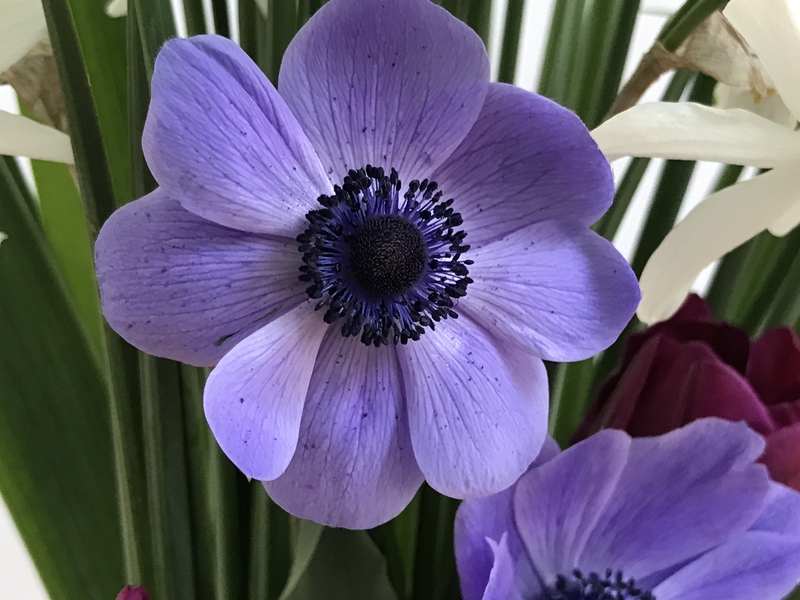 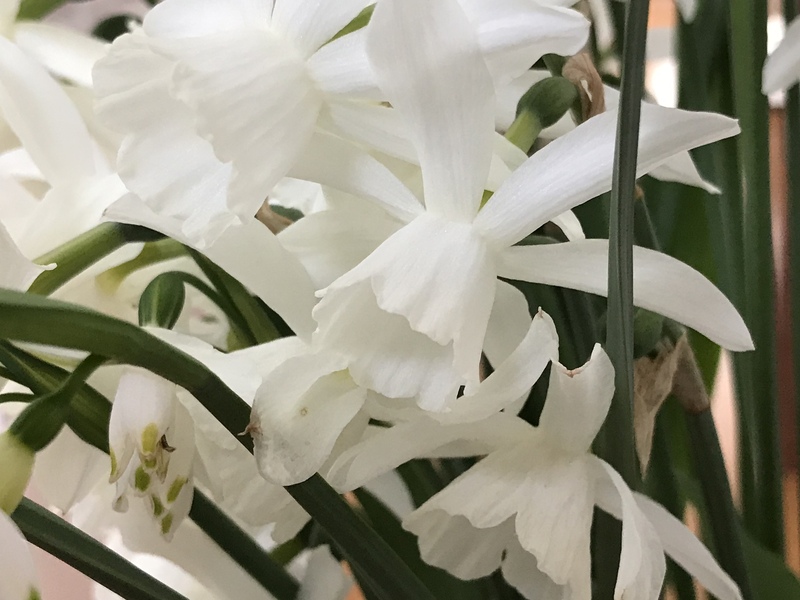 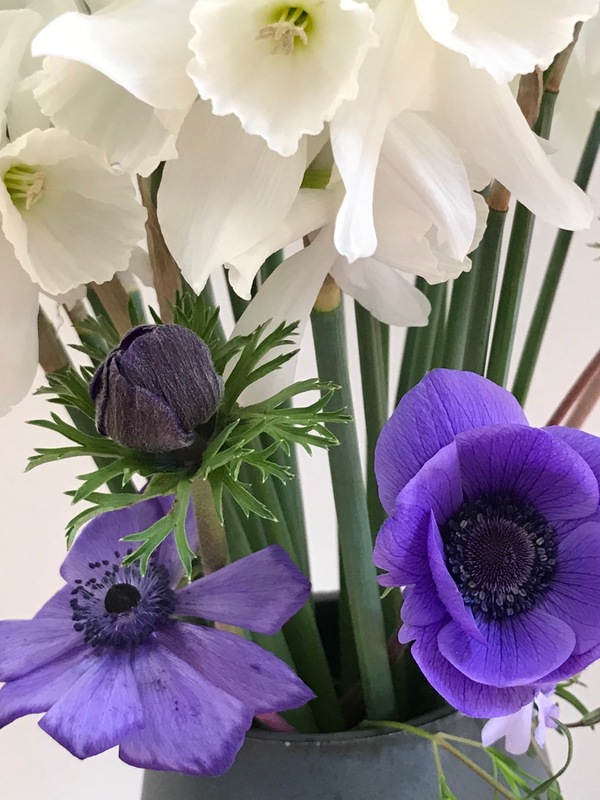 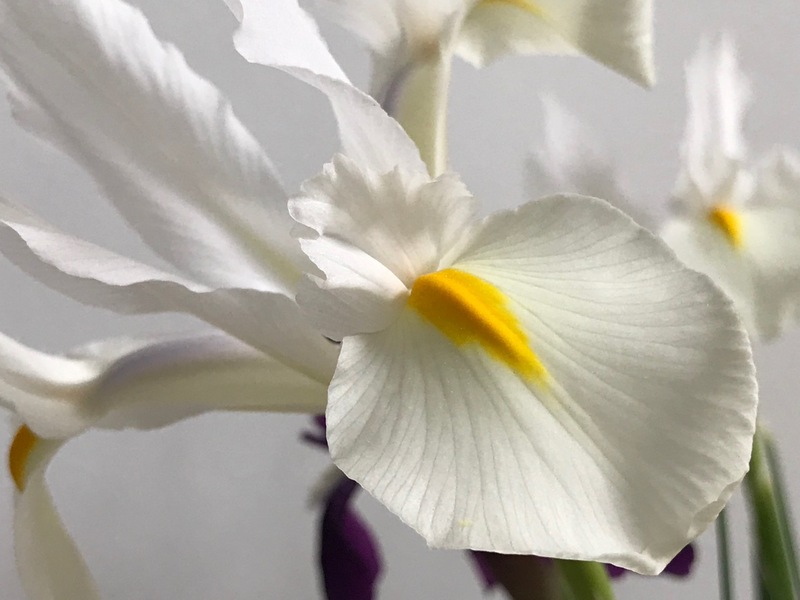 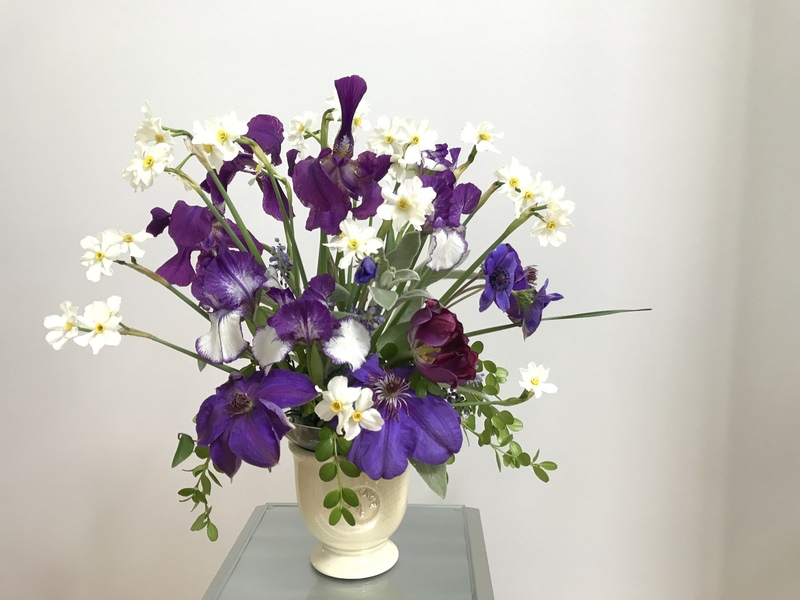 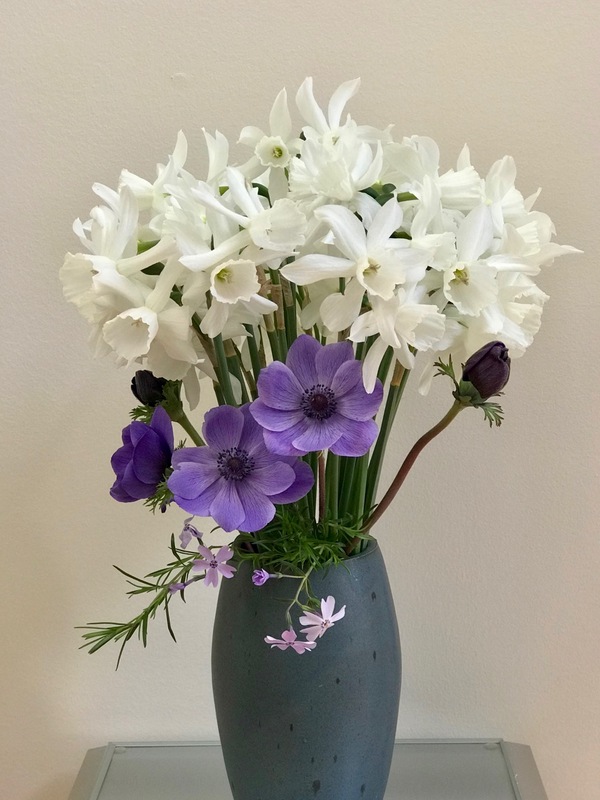 This entry was posted in garden and tagged 2018vase, Anemone coronaria ‘Mr. 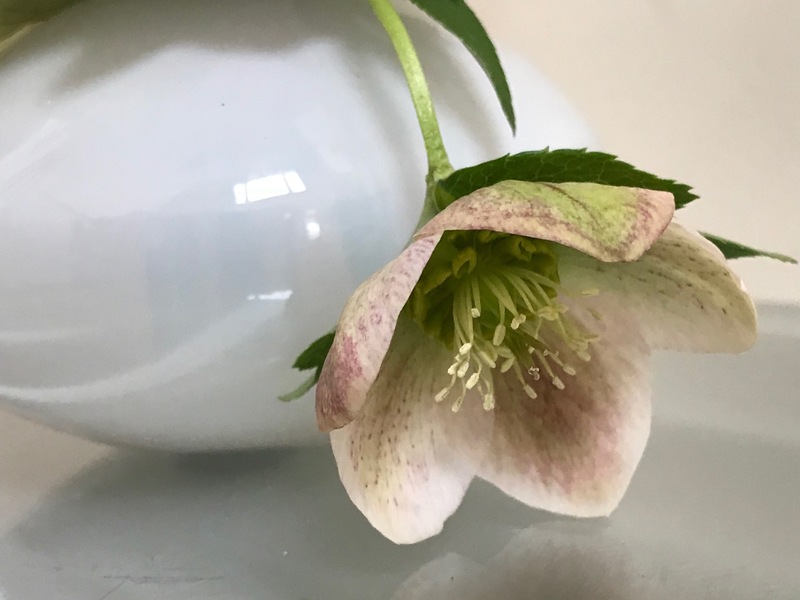 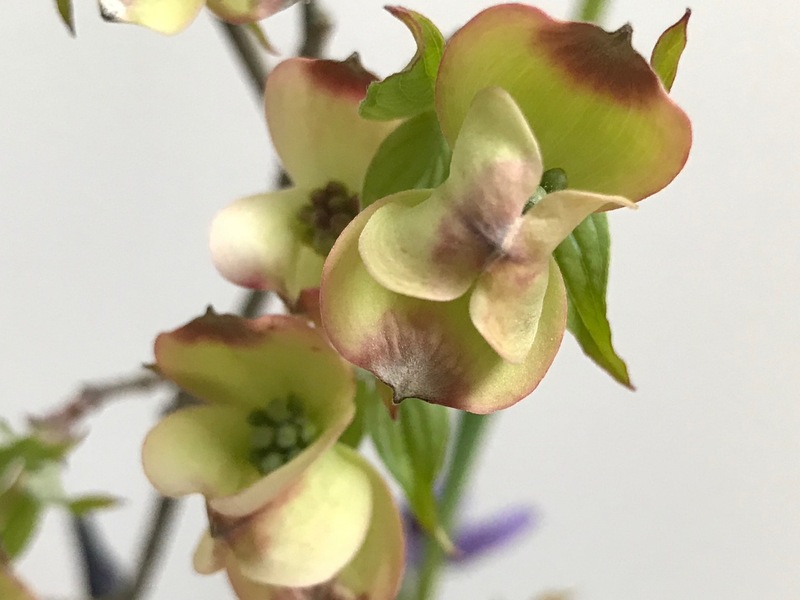 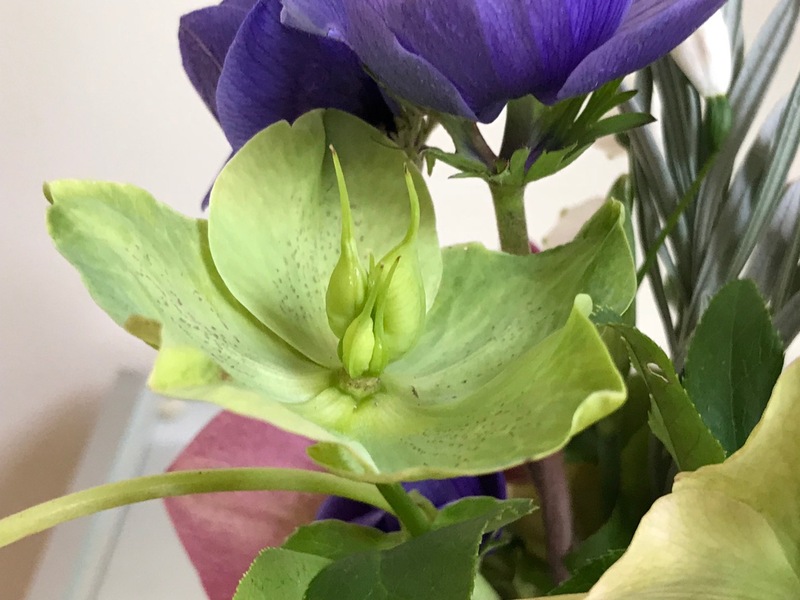 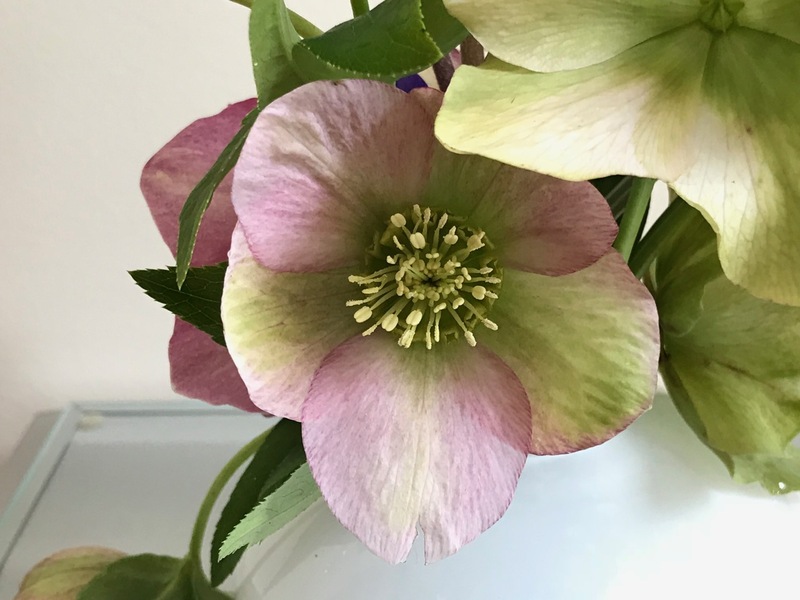 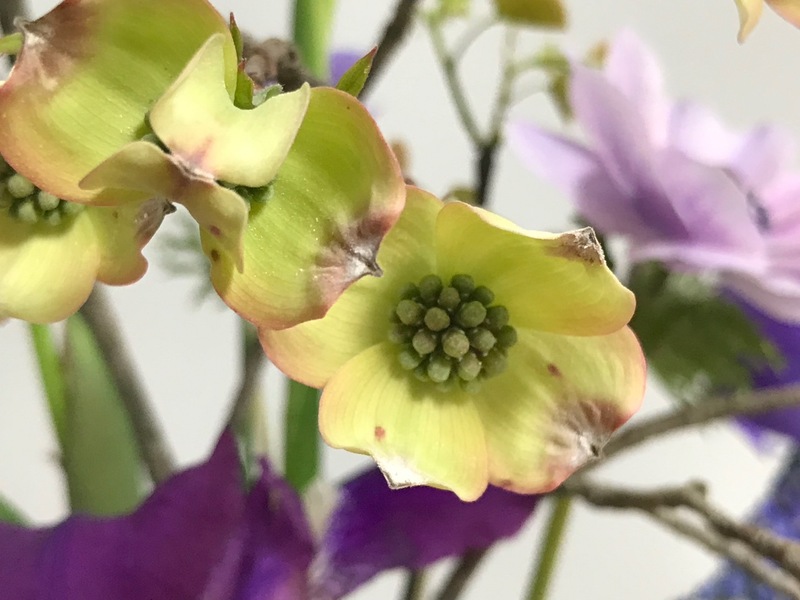 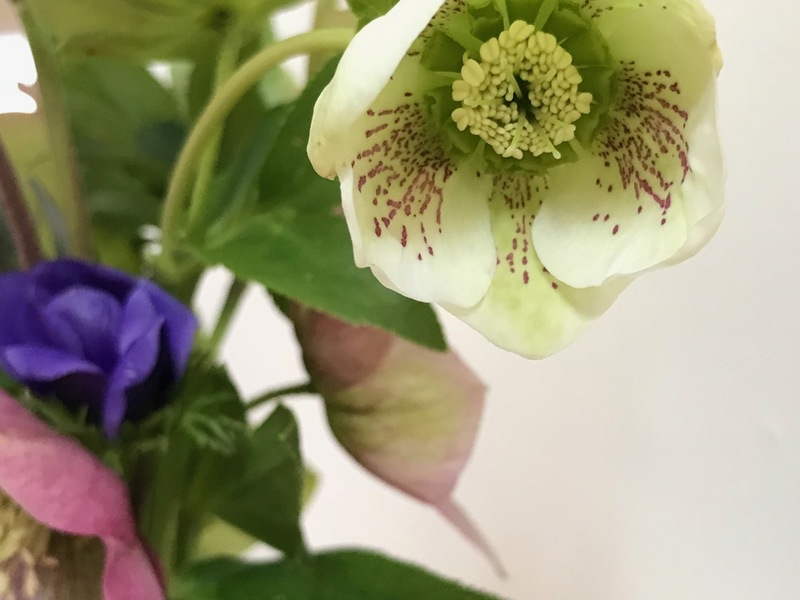 Fokker’, flower arranging, flower design, Helleborus x hybridus (Lenten rose), in a vase on monday, nature photography on March 26, 2018 by pbmgarden.